Convert the 1/20 Academy 1995 Benetton B195 into the "Bridgestone Test Car" (Ligier JS41). You'll have to paint the rear cowl completely red, the decal set includes the red, black and silver stripes necessary to complete the job. 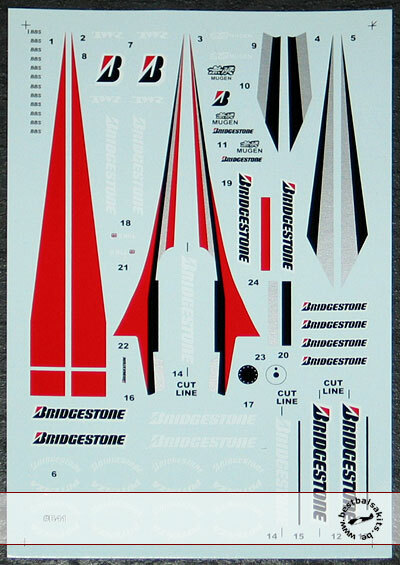 Includes decals to do either the Damon Hill or Aguri Suzuki versions of the car.